How Does Epicor 10 Fuel Manufacturing Growth? Small business owners, CEOs and senior executives all have one thing at the top of their priorities: Growth. However, too many manufacturers are stunting their enterprise growth without even realizing it. Several companies run their operations on legacy software, slowing down processes and hurting their data integrity. Aberdeen Group found that legacy ERP software users experience 42.9 days sales outstanding (DSO), 89% accuracy in financial reporting and 88% customer satisfaction. In contrast, companies running the latest ERP solutions experience 33.3 DSO, 96% financial reporting accuracy and 93% customer satisfaction. The difference between these numbers might not seem big, but they point to just a few of the major improvements you can gain when you upgrade your software. By maintaining legacy ERP systems, you’re putting the future of your business at risk. Newer solutions support modern best practices and include cutting-edge features to help manufacturers prosper. One such solution is Epicor 10. Find out how manufacturers use Epicor 10 to drive business growth. One characteristic that sets high-growth businesses apart from their peers is their willingness to embrace change. These enterprises pursue constant improvement, exploring new strategies and technology to exercise modern industry standards. Most of the changes that high-growth businesses put in place center on connectivity. By using ERP to bring their people, data and machines together, these manufacturers are optimizing their efficiency and insights. Epicor ERP 10 includes innovative features to improve enterprise connectivity. Epicor Social Enterprise (ESE) provides users with a stream of real-time notifications to help employees stay on top of product lifecycles and critical metrics. Users can also leverage social messaging functions to reach out to colleagues and collaborate on new strategies. The Epicor 10.2 home page also enables businesses to stay connected with enterprise activities. Using IoT and BI technology, employees can gain real-time insights from the shop floor right on their home page. With user-selected metrics, reports and data analytics in one place, your business will obtain unprecedented visibility to fuel faster, smarter decision making. A growing manufacturer must keep up with ever-changing demands without missing a beat. That’s why Epicor made its platform faster than ever. Epicor 10’s server processing is two to five times faster than Epicor 9, powering rapid performance from the shop floor to the top floor. With over 1000 new capabilities, E10 provides extensive functionality designed to optimize enterprise productivity. It includes greater support for global operations, offering greater flexibility for handling transactions, calculating taxes and managing currencies. Epicor also enhanced the user experience (UX) by creating navigation and personalization options and embedding business intelligence. These features enable users to gain rapid insights to fuel efficiency. Two other additions to the Epicor solution are DocStar and the redesigned product configurator. DocStar Enterprise Content Management (ECM) integrates and automates document management across your supply chain, boosting organizational efficiency and accuracy. The product configurator provides process automation and flexibility to enable on-the-fly configurations. Your manufacturing enterprise can achieve high levels of productivity with Epicor 10, allowing you to grow and expand your operations. Legacy software exposes your business to tremendous risks. Manufacturers still operating on Epicor Enterprise, Vista or Vantage solutions are off maintenance, making it difficult to receive essential services. They also haven’t received the bug fixes and security patches to protect their investments from downtime and slow performance. By making the move to Epicor ERP 10, you’re not only gaining powerful functionality but also safeguarding your system from failure. With a new solution, you can receive the maintenance and security you need to continue driving value from your software. Your upgraded system will enable you to comply with regulations and achieve greater uptime, so you can always serve your customers. 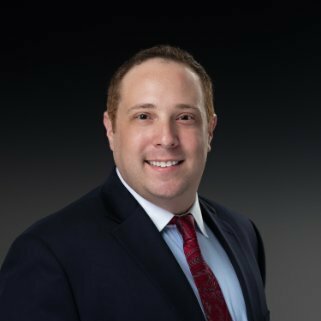 Many of the businesses that remain on legacy ERP software fear the complexity of the upgrade process. Fortunately, Epicor developed a signature methodology and tools to simplify the project. Epicor consultants can further simplify the process, using their ERP expertise to execute your system migration without disrupting your regular operations. Epicor 10 empowers manufacturers to grow with confidence. 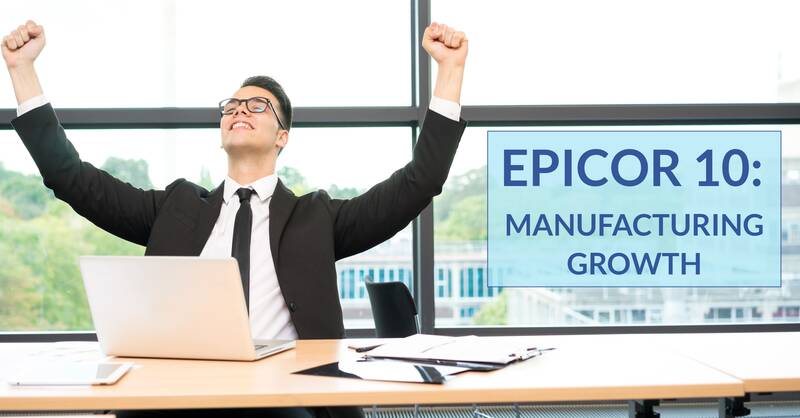 A leading ERP vendor for over 45 years, Epicor ensures each release provides top-of-the-line functionality to optimize manufacturing performance. At Datix, we’ve been helping manufacturers and distributors with their ERP projects for over 20 years. We’re a certified Epicor partner specializing in implementations, upgrades, integrations, customizations and more. With our expertise, manufacturers can obtain a robust, scalable solution to fulfill their unique needs. Experience unprecedented manufacturing growth with Epicor ERP 10. Learn more by contacting the experts at Datix today!